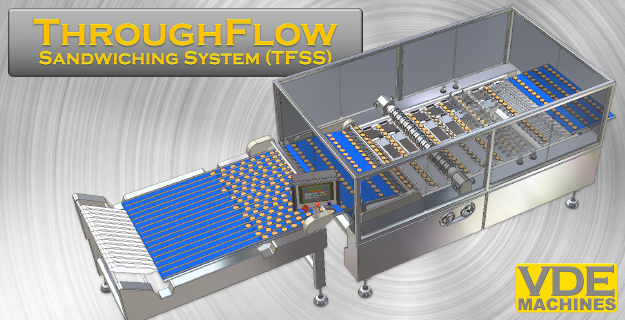 VDE Machines’ current range of equipment for larger bakeries includes the ThroughFlow Sandwich System (TFSS), VDE Tray Loader, a highly adaptable and capable Extruder system, Chocolate moulding technology, and bespoke designs. 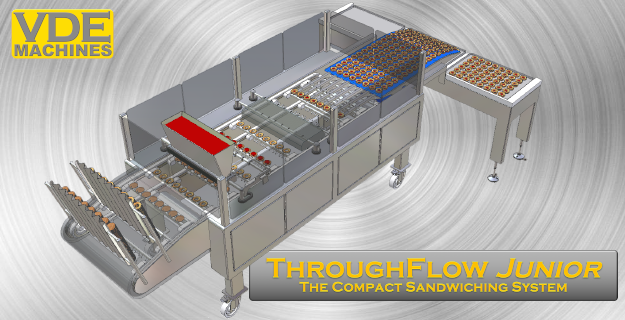 VDE Machines also offers a range of ‘Compact Production Equipment’, taking the technology from the larger equipment, and putting into a small form factor for smaller bakeries. 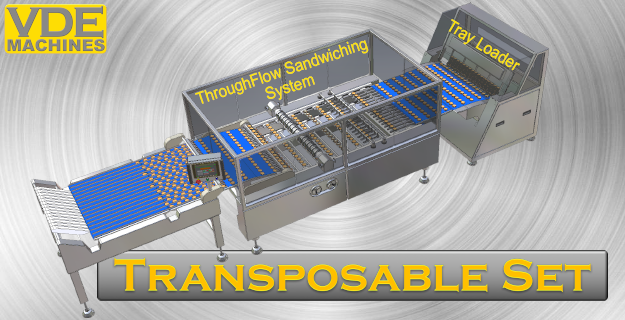 This range includes the ThroughFlow-Junior, BP-Extruder (for use with bake pans), the Entrepreneur, and a solution for Half & Half chocolate coated cookies. 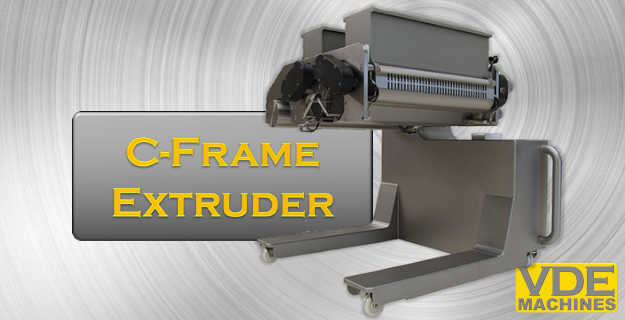 VDE Machines of the USA Equipment for bakeries large and small, including Sandwiching, Tray Loading, Extruding, Wire-Cutting, and Custom Designs.